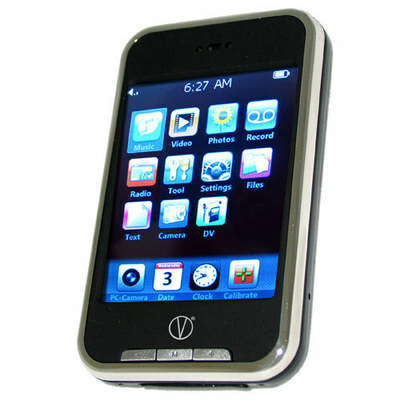 I saw this iPod Touch “knockoff” on Buy.com. It’s the V-Touch 8GB MP3. I love how “Calibrate” is one of the four prominent icons in the bottom row. Maybe it’s in a convenient, easy to find place because you’ll be needing to calibrate this thing all the time. Otherwise, I would have put it somewhere else like under “Tool” or “Settings”. Note, there is only one tool, not tools even the icon shows two of them. I’m confused whats the prices!